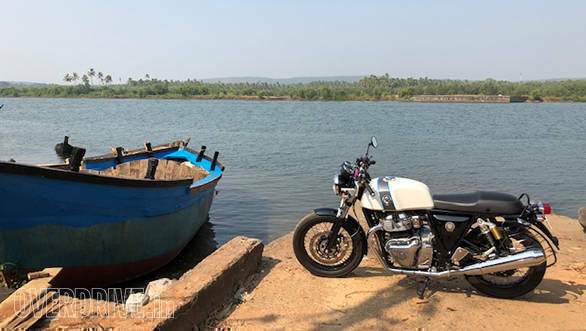 The Royal Enfield Continental GT 650 is the cafe racer version of the new Royal Enfield 650 Twins. It does look the same as the Continental GT (535) to be sure but if you look closer, it's a larger, better-proportioned motorcycle that really does tick almost all the cafe racer boxes. Today, we got to ride it down the highway, through traffic and through some twisties at the Royal Enfield 650 Twins launch event in Goa. I don't have a price yet, but the expectation is for Rs 2.5-2.6 lakh as the starting price, ex-showroom. 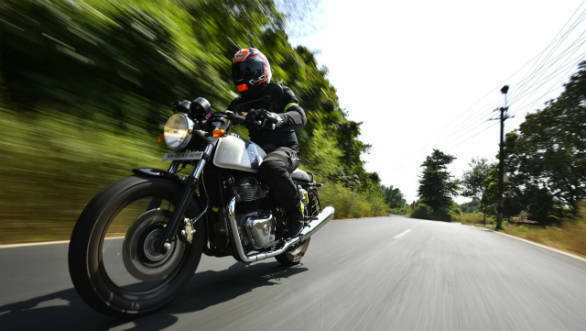 We will update this story with the final prices this evening as Royal Enfield reveals the prices and the delivery plan. 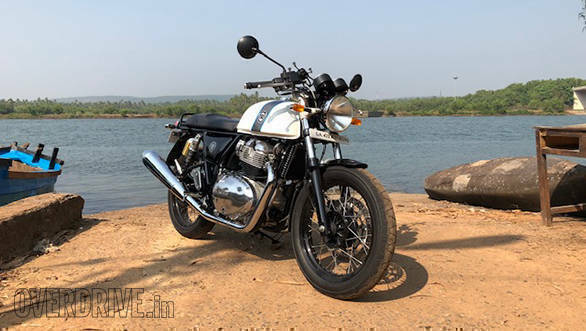 For those who didn't get to read our exhaustive ride story from the California launch, here are the basic technical details for the Royal Enfield Continental GT 650. The engine is an all-new 648cc twin-cylinder. It is counterbalanced, uses four valves with SOHC actuation, is air/oil-cooled and is fuel-injected. It makes 47PS and 53Nm, modest numbers for this large and engine. The gearbox is new too, the six-speed unit works with a slip-assist clutch. Disc brakes handle braking and dual-channel ABS is standard. Basic telescopic forks and twin gas-charged rear shocks make up the suspension. All this is mounted to an all-new double cradle frame which does remind you of the GT 535's frame but is actually completely new. When we rode it in California, we loved the bike and wondered how it would feel in our harsher, rougher conditions. It's no surprise that the engine is just as nice. It pulls strongly and smoothly from low revs to the redline and it doesn't really exhibit any signs of mechanical distress in any way at all - brilliant. Indian highway speeds are handled with remarkable composure and passing vehicles is just a matter of opening the throttle almost without any regard for what gear you are in. It is, undoubted the star of a very classy show. And the bike does have a classy show, heh heh. The Continental GT looks extremely well-finished and it feels like it will last a long long time too. 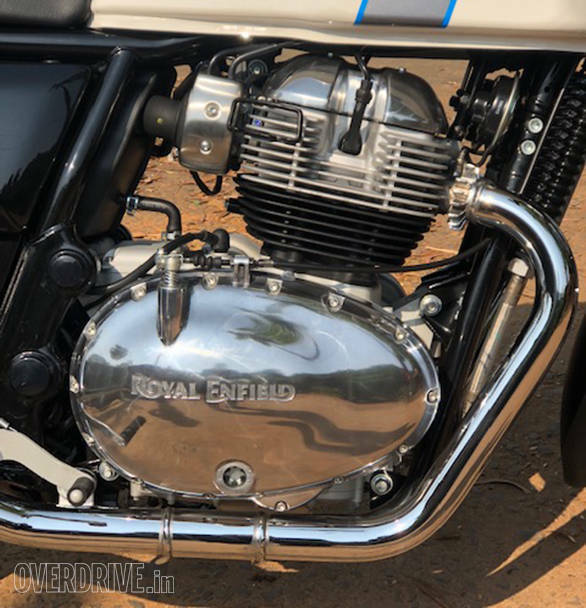 Nothing rattles over the bumps and whether you see it from the context of Royal Enfields up to now, or compare it to any motorcycle you get today, the finish and build are on par with the best. That it looks simple, inviting, elegant from most angles is a credit to the design team. When you see the Continental GT with their chrome tank, I think you will be floored. At modest speeds, the Continental GT also has a likeable dynamic character. Ride quality is firm but not stiff. Most bumps are handled smartly and despite the committed riding position, it's actually quite comfortable to ride even for a while in traffic. In effect, we did that quite a bit this morning. 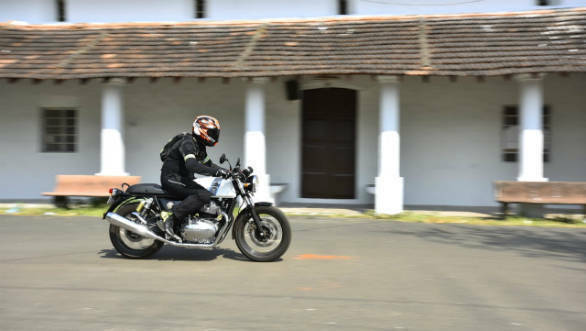 Royal Enfield says that's not an accident - the clips on are on new risers and the riding position is a lot less extreme than the GT 535. The brakes are strong and easy to modulate and the whole package just works. The niggle is that when you raise the pace, the suspension's abilities begin to struggle to contain the bumps. At high speeds, well over 140kmph, bumps in corners can send the GT into a gentle weave that takes more than a few oscillations to settle. You do realise that it doesn't worsen and therefore worry you the second time, but it is something that Royal Enfield should definitely look at. The GT absorbs massive hits though and it feels well-suspended for the most part. I believe that most of the Continental GT owners will very rarely reach these speeds and therefore not really feel out of sorts but it is literally the only thing I believe needs to be looked at. Which tells me that Royal Enfield has a stunning motorcycle on their hands. And that is before you factor in the price. The fact of the matter is that this is a well-made, well-executed motorcycle. It doesn't ever feel like it was built to a price, although the equipment and the specification is decidedly on the skimpy side. 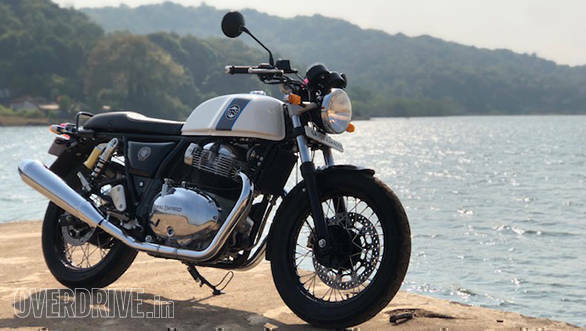 As I write this, I have already road tested the Royal Enfield Interceptor 650 - story soon - and I can tell you that the price and the ability together is a combination that we have not seen in India before. 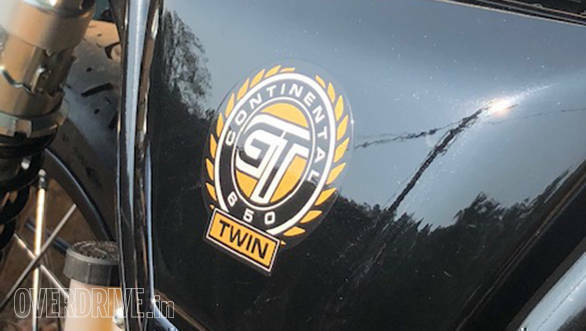 The Continental GT may not the big seller of the two 650 Twins in India. I believe that mantle will sit on the shoulders of the Interceptor 650. But for the few cafe racers who looked at the GT 535 and didn't make the leap, your ride is here.